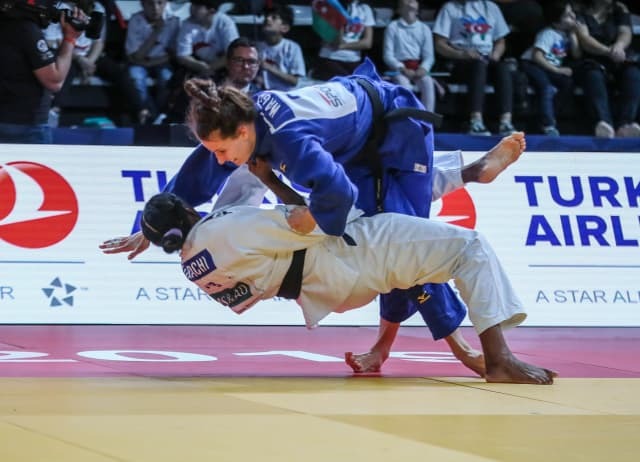 Marrakech Grand Prix winner Anna Maria WAGNER (GER) has matured into being a world-class performer this year with two Grand Prix victories form as many outings in 2019. WAGNER defeated former world bronze medallist Kaliema ANTOMARCHI (CUB) in the -78kg final by two scores and will now move into the world’s top 10 on the IJF World Ranking List for the first time in her career. 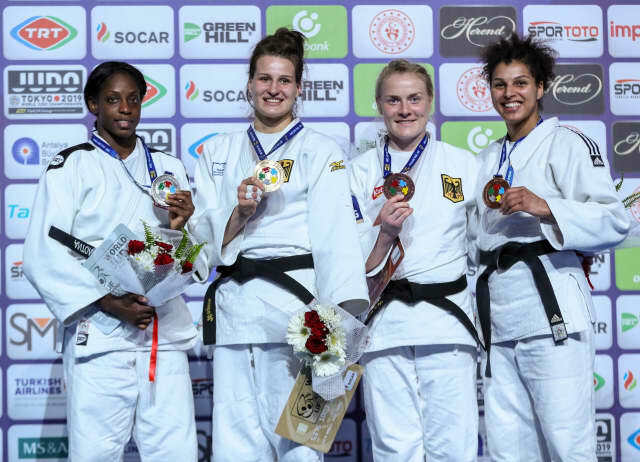 Germany’s four-time Grand Slam medallist threw with a ko-uchi-gari and completed her win by countering a uchi-mata with o-uchi-gari for yet another victory on the IJF circuit. 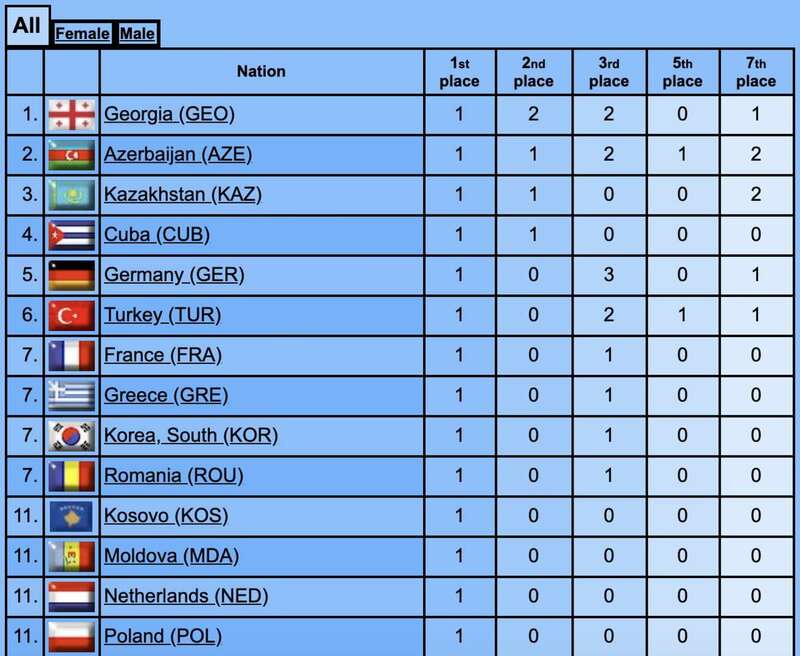 In the first semi-final ANTOMARCHI edged past Tbilisi Grand Prix bronze medaliist Patricia SAMPAIO (POR) by a waza-ari score while in the second semi-final WAGNER defeated Marrakech Grand Prix bronze medallist Luise MALZAHN (GER) by ippon. The first bronze medal contest was won by MALZAHN who threw world number 43 Nefeli PAPADAKIS (USA) for a waza-ari and held down the American newcomer for 10 seconds with a kuzure-kesa-gatame for her record-breaking 21st Grand Prix medal. The second bronze medal was won by 2018 Antalya Grand Prix silver medallist Anastasiya TURCHYN (UKR) who tapped out SAMPAIO with a koshi-jime strangle after 78 seconds of golden score. Düsseldorf Grand Slam bronze medallist Iryna KINDZERSKA (AZE) bested Tbilisi Grand Prix silver medallist Beatriz SOUZA (BRA) in the opening seconds of their heavyweight final. KINDZERSKA clinched her third Grand Prix title for Azerbaijan after just 17 seconds with a thunderous harai-makikomi for ippon as yet another country struck gold in Antalya. In the first semi-final KINDZERSKA defeated Cancun Grand Prix bronze medallist Kseniia CHIBISOVA (RUS) with an o-soto-makikomi for ippon. 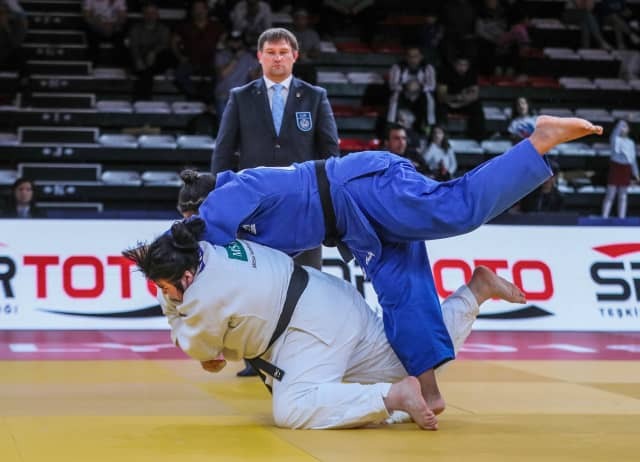 In the second semi-final Tbilisi Grand Prix bronze medallist Maryna SLUTSKAYA (BLR) was second best against SOUZA who won by ippon from an o-soto-gari. 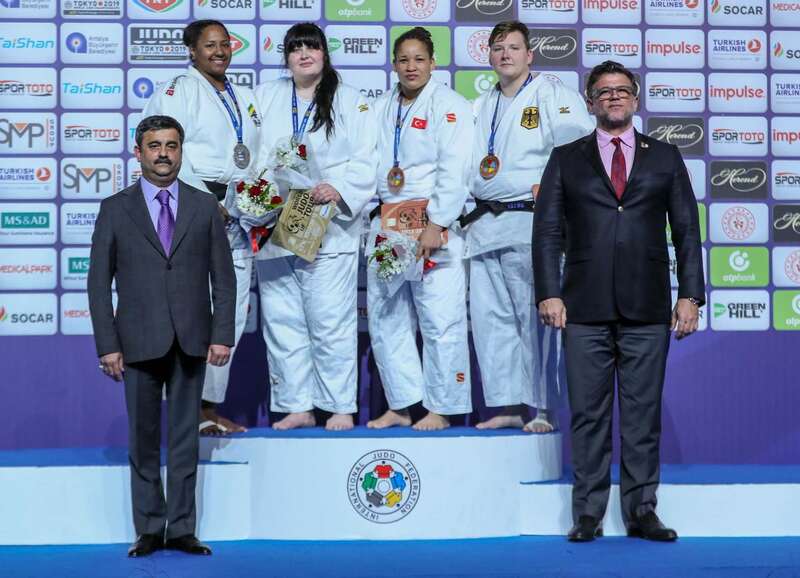 The first bronze medal was awarded to Marrakech Grand Prix gold medallist Kayra SAYIT (TUR) who pinned down SLUTSKAYA with a kami-shiho-gatame for 20 seconds to claim the host nation’s third medal in Antalya. 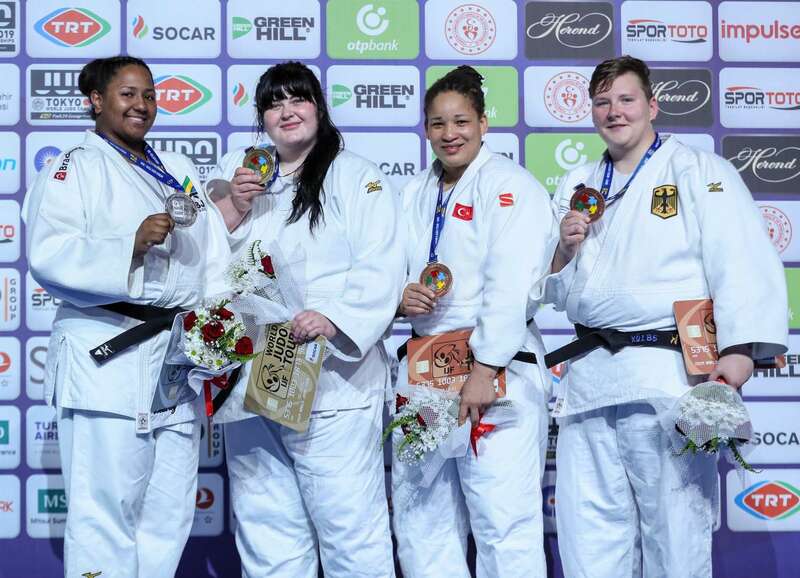 The second bronze medal was won by world number 24 Jasmin KUELBS (GER) who threw CHIBISOVA with a sasae-tsurikomi-ashi for a waza-ari and moved straight into the osaekomi from which the Russian gave up after seven seconds. 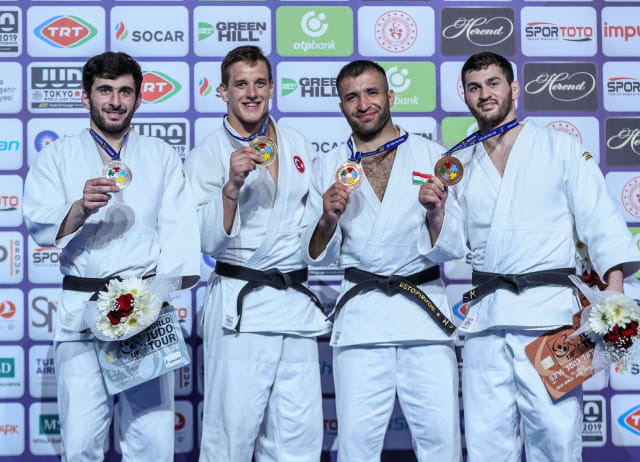 Former world silver medallist Mikail OZERLER (TUR) clinched Turkey’s first gold medal at their home Grand Prix as he drove past Tbilisi Grand Prix silver medallist Giorgi PAPUNASHVILI (GEO) in golden score. 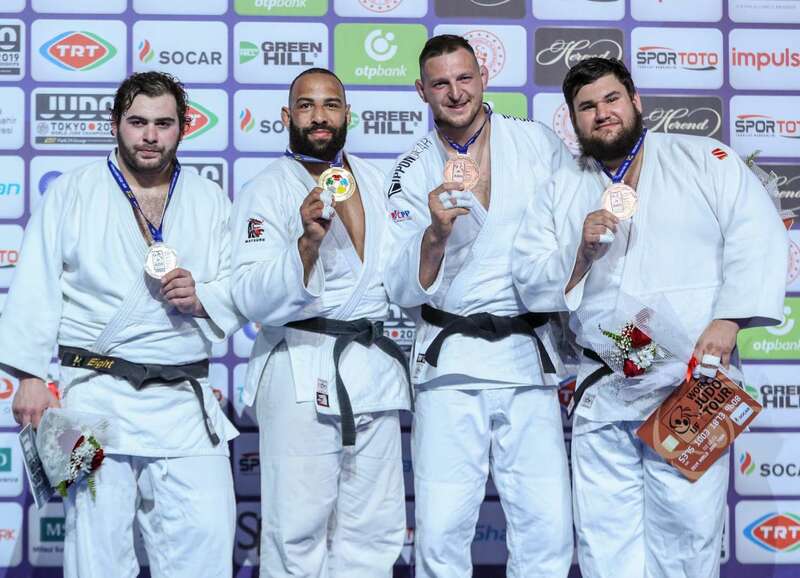 World number 47 OZERLER, who was previously known as Mihael ZGANK before switching from Slovenia to Turkey last year, won his first medal for his new employers with a devastating harai-goshi for ippon to kickstart his belated qualification bid for Tokyo 2020. In the first semi-final OZERLER prevailed against former world champion Avtandili TCHRIKISHVILI (GEO) who received hansoku-make after his third shido which he picked up for being passive. In the second semi-final PAPUNASHVILI dropped under world number 223 Itay GOLAN (ISR) to throw for ippon after 90 seconds. 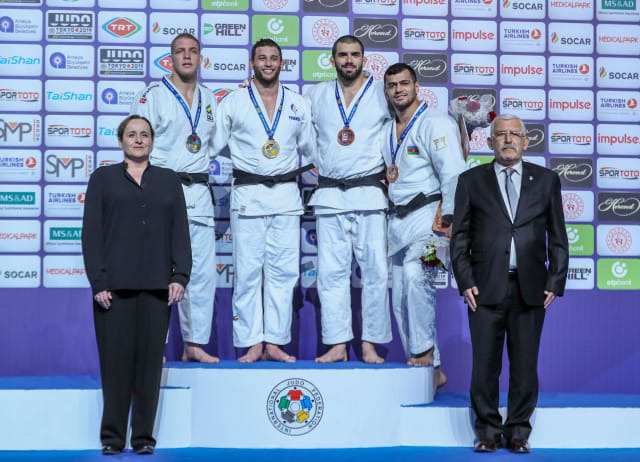 The first bronze medal was won by Asian Games bronze medallist Komronshokh USTOPIRIYON (TJK) who dominated the little-known GOLAN from Israel and ended with an emphatic tai-otoshi for ippon. The second bronze medal went to TCHRIKISHVILI who launched three-time Grand Slam winner Aleksandar KUKOLJ (SRB) for ippon. Tel Aviv Grand Prix winner Alexandre IDDIR (FRA) defeated Tbilisi Grand Prix silver medallist Rafael BUZACARINI (BRA) to win his country’s first gold medal in Antalya. 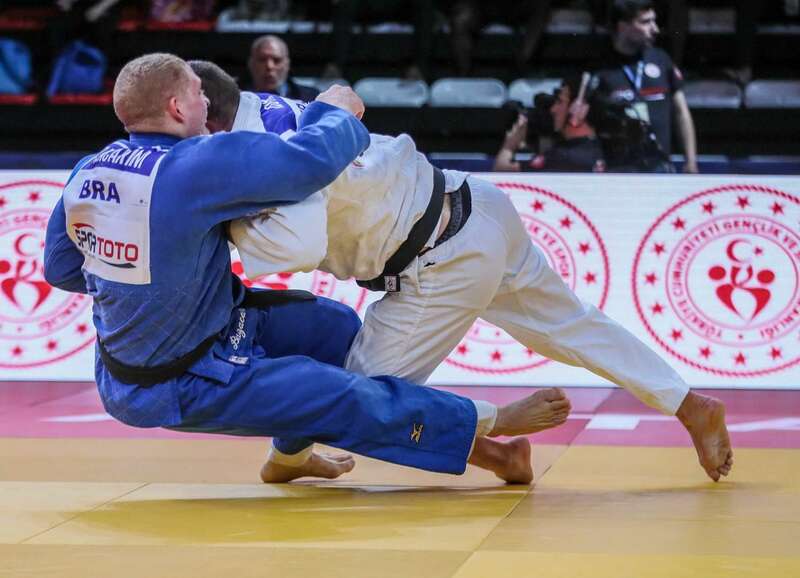 World number 22 IDDIR pulled away from his Brazilian adversary in golden score as BUZACARINI had to attack with two shidos to his name and he got caught with a ko-uchi-gari for ippon. 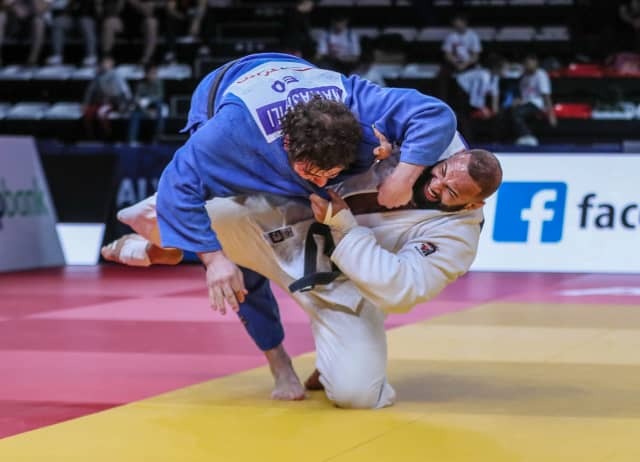 In the first semi-final former world bronze medallist Ramadan DARWISH (EGY) was catapulted towards the tatami by IDDIR in golden score with an o-soto-gari for ippon. In the second semi-final BUZACARINI profited from an error-strewn display by a tired NIKIFOROV who was penalised for passivity for the third and final time in golden score. 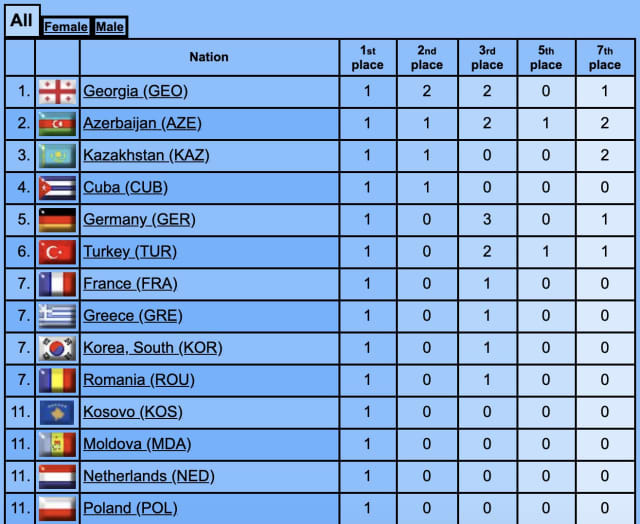 The first bronze medal was won by NIKIFOROV who powered past The Hague Grand Prix bronze medallist Leonardo GONCALVES (BRA). 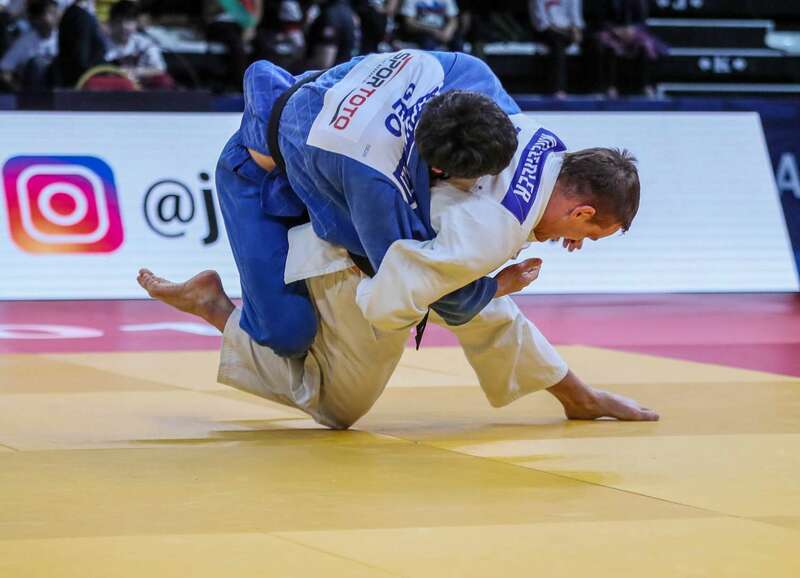 Belgian ace NIKIFOROV executed a driving seoi-nage for a waza-ari and wrapped up his place on the podium with a o-soto-makikomi. The second bronze medal went to Olympic silver medallist Elmar GASIMOV (AZE) who conquered fellow veteran and four-time Grand Prix winner DARWISH by a waza-ari score. Tbilisi Grand Prix bronze medallist Roy MEYER (NED) was the leading man for the Netherlands as he delivered the +100kg gold medal in the last contest at the 2019 Antalya Grand Prix. Tbilisi Grand Prix winner Levani MATIASHVILI (GEO) came close to winning his second Grand Prix in seven days but the heavyweight crown belonged to MEYER today who put in arguably the best performance of his career as he demonstrated a tactical and methodical approach when he needed to to complement his ferocious power. The Dutch star has now won Grand Prix events in 2014, 2017 and 2019 and will believe that his fourth Grand Prix success will be just around the corner after this showing. 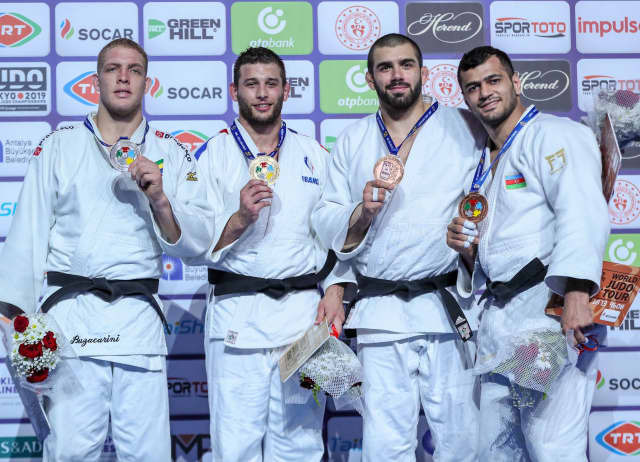 MATIASHVILI came undone from a o-soto-gari after 17 seconds of golden score to cap an action-packed three days of riveting Grand Prix action in Turkey. In the first semi-final MEYER beat former Abu Dhabi Grand Slam silver medallist Vladut SIMIONESCU (ROU) by ippon while in the second semi-final MATIASHVILI saw off world silver medallist Ushangi KOKAURI (AZE) who was handed his third and final shido. The first bronze medal was won by -100kg Olympic champion Lukas KRPALEK (CZE) who salvaged a place on the podium with a win over KOKAURI. 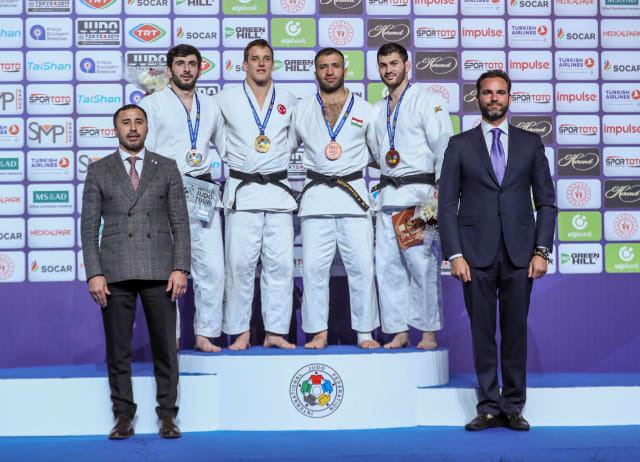 KRPALEK, who was competing for the first time this year, returned to winning ways by catching his Azeri rival with a sumi-gaeshi for a waza-ari score and then a o-soto-gari. The second bronze medal went to SIMIONESCU who came from behind to defeat former world silver medallist David MOURA (BRA). 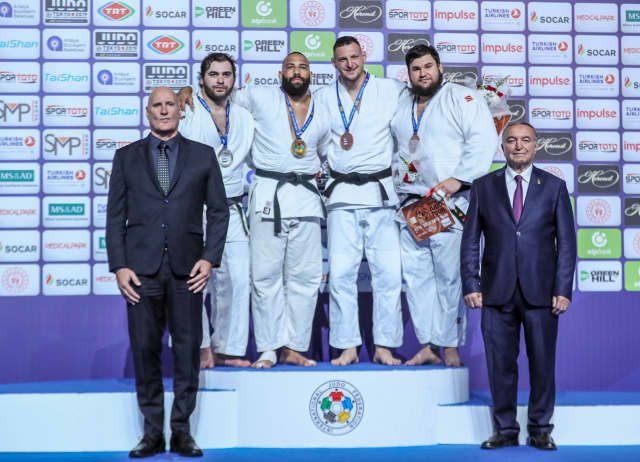 Brazilian giant MOURA scored first with a waza-ari from a o-uchi-gari waza-ari but was thrown with a ko-soto-gake and the Romanian landed on top and kept control for 10 seconds and heavyweight bronze.